Scott Ryan: Thanks so much for noticing the dedication. I came up with that before I started writing the book and you are the first person to mention it. It was my signal to readers that I am a deep-cut fan. I knew most people wouldn’t get the reference, but the ones who do would really get it. I talk about my journey watching Dave from around 1987 through 2015 in the first chapter of the book. I wanted readers to know how much the show meant to me, not just as a viewer, but in my real life as well. I basically make my living now as an interviewer, and I learned that skill from watching Dave. JA: The cover art perfectly captures the spirit of the show - who designed it and were there any other versions of the cover in mind? SR: Mark Karis did the cover and the inside design of the book. If I told you the entire story of how all that came to be, it might just fill up your entire webpage. I had done a design and cover and everyone hated it except for Barbara Gaines and I, so my distributor suggested Mark. I am so grateful they did because he did such a wonderful job on the design. I will have him do all my books from here forward, but at the time it was really rough to give up the control. I really wanted Dave running across the stage to be the cover. In the end, I got it on the back cover. 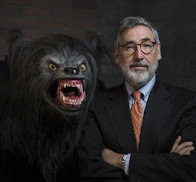 To me, that picture explains the book — you are only gonna get a glimpse of Dave. Again, in the end, I am very happy with the changes. It was all for the best. JA: What was the exact moment that you knew you were setting out to write a full book on this subject, and what challenges did you face with getting started? SR: Wait, I still am not sure if I am going to be able to finish this book. You mean it is done and it actually came out?! I never really knew how any of this was going to work out. I came up with the idea in 2017. My last book, thirtysomething at thirty, came out and everyone was asking me what show I wanted to cover next. 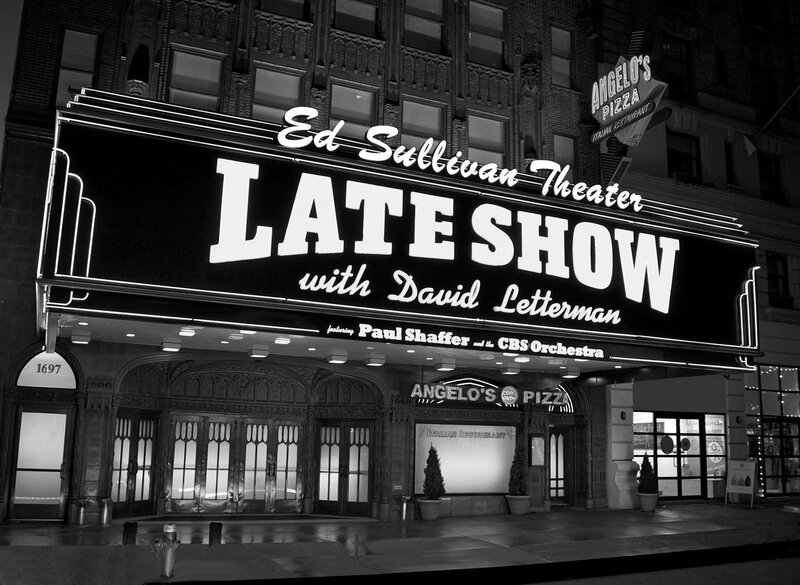 Late Show was a dream project. I figured the only way this would ever happen is with Barbara Gaines (Executive Producer). I started tweeting her and asking her for an interview. It took forever, but she finally said yes. Once I interviewed her, that is when the gates opened. I think the other people knew that if Gaines was agreeing to speak with me that they knew they could trust me. I never asked anyone about anything besides their job and their daily routines. I wasn’t searching for gossip, just facts on how they produced those final 28 episodes. As for challenges, there were only about a million. I started my own publishing company with a partner. It is called FMP and the hard part was trying to get the book national distribution. I knew I had to start the company with a Letterman book because the chances of me ever getting access like this again is rare. The path to getting this book out was so crazy that sometimes I think I should write my next book about writing this book. JA: Did you ever attend a taping of Late Show? SR: I attended four. The most amazing one was the show after his heart scare. So I was there when all his doctors came out — Regis was there, Robin Williams, Seinfeld... it was amazing. I also saw the show after he won the Kennedy Honor. I loved going to see the show. I had no connections back then (I really still don’t.) So it was just luck that I got to see those shows. JA: Talk to me about the process of putting this book together. SR: The trouble is you really need access to do an oral history. It is almost impossible for someone like me who doesn’t have an agent and only knows the people that live in my house. I am very persistent when I come up with an idea. It is mostly about being interested in other people and learning how to get people to talk, and then keeping on track to your vision. 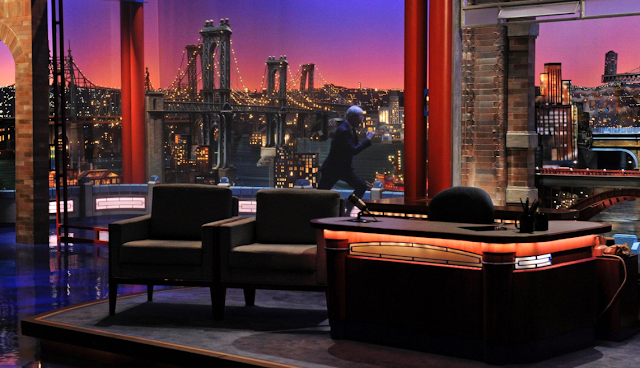 Lots of people told me not to just cover the last six weeks, but do the entire Late Show. I had a vision and I stuck with it. Putting together a book is like building a big puzzle. That is the fun part. Making sure that it tells a story and is interesting outside of just Dave fans. JA: What is your fondest memory of working on this book, and do you have one favorite moment captured in your interviews? SR: I made Bill Scheft laugh. Not just laugh, but howl. It was a joke I could never repeat because it was part timing and part inappropriate. He actually said, “That was a honey of a joke.” I thought about making that my ringtone, but realized it might get obnoxious. I also was truly honored to get to talk with Carson’s writers. They told me some great stories about Johnny that really didn’t fit in the book, but what a conversation to get to have. I also was a big fan of Brian Teta. He seems like someone I could be real friends with. The fact that Barbara Gaines will answer an email from me is a pretty cool thing, too. JA: What is one thing you feel you learned about Late Show that you didn't already know going into this? SR: I think just how close of a family the staff was. I always liked seeing when Dave went upstairs to the office and you would get a glimpse of their office life. To find out that they were excited about, that stuff was really cool as well. Also that they would do anything to protect and support Dave. I think everyone I talked to felt the same way about Dave as I did. That was really nice to find out. On the flipside, I am so angry I didn't try to get a job there. I think I would have fit in and had a great time. JA: What I'd love to see are the full performances of Paul Shaffer and the CBS Orchestra that took place during commercial breaks - any chance you discovered that the footage exists in a vault somewhere, or do you know? SR: I can’t answer that one. It seems unlikely to me, but if anyone has it, it would be Don Giller. He has a YouTube page and has all kinds of great stuff, but I don’t know if it exists. I will say being in the audience and listening to them play was so much fun. JA: What advice can you offer to aspiring writers based on your experience with Last Days? For those wanting to follow in your footsteps, what do you feel helped guide you to success in seeing this idea through to completion? SR: For anyone trying to follow in my footsteps, I would tell them to turn around and run as fast as they can in the opposite direction. I have never really been one to shoot for any kind of success. My tastes never jive with the rest of pop culture. This will probably be my best shot, but even still, Dave really was never #1 for very long. But here is my advice to everyone; don’t expect anyone to care about what you do and never give up. I have been doing things like this since I was 18. I have done movies, TV shows, music, podcasts, live shows, books... this is the first thing in thirty years that had any kind of positive feedback or any real light. I just keep working on what I want to do and I never worry about if anyone else will be interested in it. Here is another key: I take it very seriously. No matter what I do, I do it like a professional and I never try to waste anyone’s time. Every bit of success I have ever achieved, I got from being kind to people. So that is my other piece of advice. Be kind. Is this going to be a graduation speech as well? Should I also tell all the kids out there reading this to not do drugs and stay in school? JA: How has the reception been since the release of the book, both from fans and those who worked on the show? SR: It's been really supportive. Jill Goodwin, one of the writers, told me she learned stuff she never knew about the show she wrote on. That was an amazing compliment. She also said she can’t read the end because it hurts too much. Dave fans have been really kind to me. I have all five star ratings on Amazon which my distributor says really helps. I don’t read them because I know at some point someone will slam me and I don’t need to know any of that. I honestly did the book for myself. 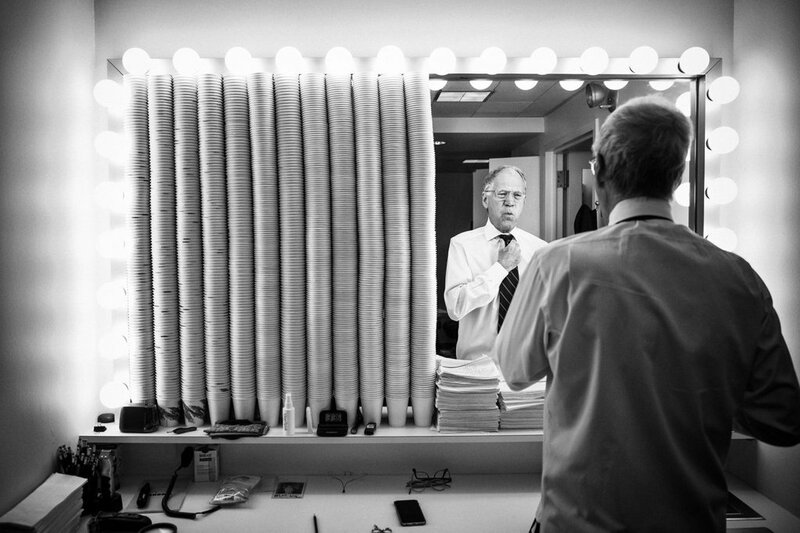 It is the book I would want to read about Letterman. That is all I can control. JA: Now that this Everest has been climbed, what is your next project? Do you have anything on the horizon you'd like to share with us? SR: I am the managing editor of The Blue Rose Magazine which covers the work of Twin Peaks and David Lynch. I have been shirking my duties while I have been promoting the book, but we are getting ready to get year three going in March 2019, so I really need to focus on Issue 9 of The Blue Rose. As for books, I am toying with doing an X-Files book and a music guide to Barbra Streisand. How about that for eclectic? JA: If you had to sum up Late Show with David Letterman in only three words, what would they be? 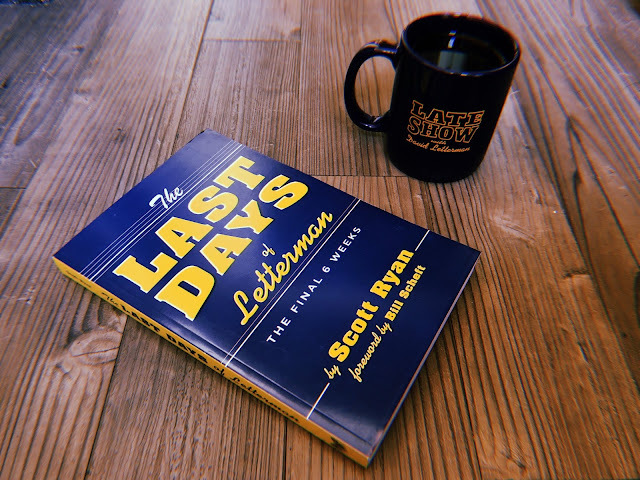 Buy The Last Days of Letterman HERE!